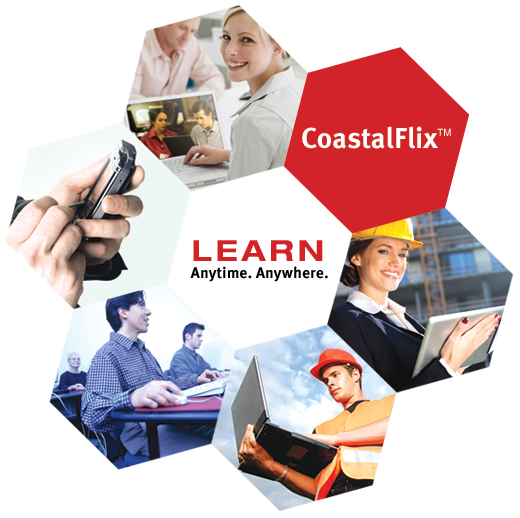 From the classroom to your laptop to your mobile device, CoastalFlix℠ from DuPont Sustainable Solutions gives you the flexibility to deliver a compelling learning experience anytime, anywhere. Get instant access to hundreds of streaming videos on the latest safety, compliance and human resources issues. Flexibility – Stream video to any web-enabled device, regardless of operating system. This includes PCs, laptops, tablets, e-readers, web TVs and smartphones. Engaging – Deliver a compelling learning experience with our award-winning and comprehensive library of safety, compliance and employee development programs. Choose from full-length videos and short clips. Quality – Through industry-leading technology, you can deliver HD video that makes an impact. Smart Delivery – CoastalFlix℠ will stream the proper file size based on the device and speed of the user connection, which limits the amount of “buffering” time. Immediate – Get instant access to content with your credit card purchase. Cost Effective – No more shipping costs. Portable – Access content anytime, anywhere with internet connectivity.